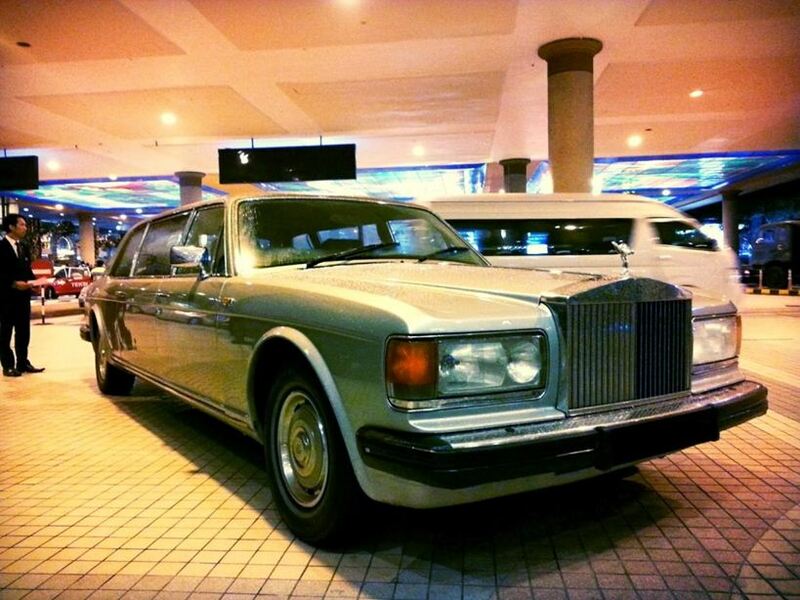 The Rolls Royce Silver Spirit was a luxury car produced by Rolls Royce Motors between 1980 and 1999, when Vickers plc (which was subsequently bought by Rolls Royce Holdings plc in 1999) owned the brand. Rolls Royce Motors is known around the globe for being a manufacturer of high quality, deluxe vehicles for a niche market. The Rolls Royce Silver Spirit Limousine is a special edition of the Rolls Royce Silver Spirit saloon with an extended wheelbase that became an icon during its time. The Spirit of Ecstasy: This Rolls Royce was designed by Robert Jankel. It had a kerb weight of two thousand five hundred and fifty kilograms, length of 628 cm, width of 189 cm and height of 148 cm. This gave it a thirty-six inch stretch over the standard Rolls Royce Silver Spirit. The Silver spirit Limousine also featured the iconic ‘Spirit of Ecstasy’ figurine that is a staple symbol of the Rolls Royce brand. The car had four doors, with a stretched section between the two. After 1985, the 36 inch stretch model was replaced by a 42 inch stretch version for added space and comfort. After all, they don’t say ‘rolls Royce for comfort’ without reason! The Limousine with a Grand Performance: This vehicle is more than made up for its massive size by coming fitted with a powerful 6.75L Rolls Royce V8 engine (which the Bentley cars of the era also shared, with lesser capacities) that was couple to a four speed automatic transmission for seamless performance. The intake manifold was freshly designed, as were the cylinder heads on the engine, to drastically increase the power output, which was described to be ‘adequate’ for smooth performance of the large car. Dual airbags were also introduced to the design, along with the facility for independently adjusting the rear seats for an unmatched riding experience. The parameters of the suspension system of the Rolls Royce Silver Spirit Limousine were modified to improve performance and handling reliability, and to allow easier maintenance of the vehicle. Spirit yourself away: A limousine can be used for various purposes, and is a surprisingly more versatile vehicle than one would expect for something of its size. They can be used for travelling to a fancy party, or as a novelty facility to ride on a popular route of for a particular purpose (the airport pickup limousine, for instance, is an example of this). The Rolls Royce Silver Spirit Limousine is a magnificent car that is sure to leave others awed on account of its stately yet smooth design as you sail gracefully by inside it. The Rental Advantage: If you are considering using the Silver Spirit limousine for any purpose (such as attending a party or function, or simply for novelty transport in Malaysia), it is a good idea to rent it: doing so will provide you with the opportunity to have an unbeatably luxurious experience without costing you as much as buying the saloon. The statuesque Rolls Royce limousine is sure to be a good choice for whatever event or purpose you will use it for – and if nothing else, you can be certain that it will not let you down in any way. What are you waiting for? Impress your Malaysian and overseas friends now by calling us to rent this car or use the booking form above!